Dr. West has worked in Papua New Guinea since 1997. She has conducted research in villages in the Lufa District of the Eastern Highlands Province, in Goroka, the capital of the Eastern Highlands Province, in Port Moresby, the capital of the country, and on New Ireland, New Hanover, and Manus. The island of New Guinea, the second largest island in the world (at 312,167 square miles after Greenland which is 840,004 square mile), sits directly below the equator to the north of Australia. Historically, the island was cut in half by the expansion of European powers in the nineteenth century. In 1928 the Dutch took control of the western half of the island and held it until 1963, when it was given to Indonesia by the United Nations. 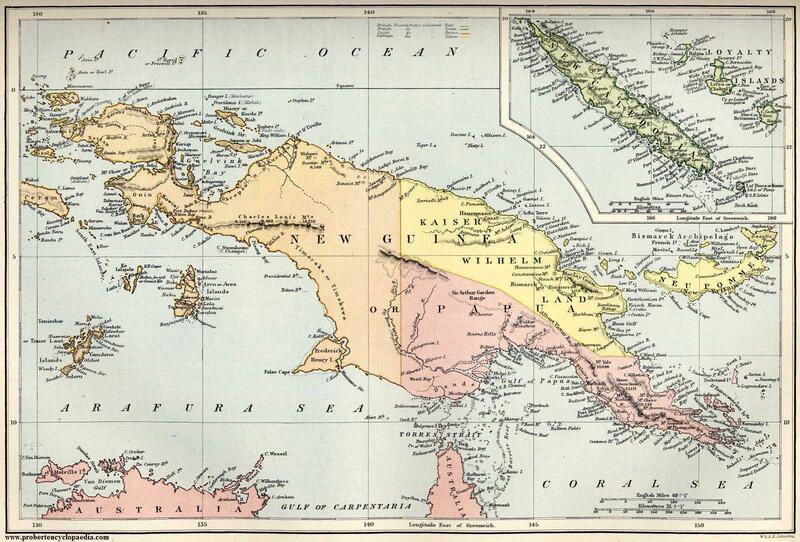 In 1884 the Germans claimed the northern quarter of the island of New Guinea, and the islands to the north, and the British claimed the southern quarter of the eastern half of New Guinea. The Germans held their territory until 1914 when the war broke out. In 1919 the German territory was given to Australia for administration by the League of Nations to accompany the former British territory that had been transferred to them in 1906. The northern quarter of the Australian territory was given the colonial name the Mandated Territory of New Guinea in 1921, when Australia began non-wartime administration, while the southern quarter was administered under the name “Papua”. The two quarters were administered separately until 1942, when the Japanese invaded and the civil administration of both quarters was suspended, and they were brought together under the Australian New Guinea Administrative Unit (ANGAU). ANGAU existed until 1946 when Australia reinstated a civil administration and combined the two areas as the Territory of Papua and New Guinea. Australia served as the colonial power in the Territory until national independence on September 16, 1975. Today the independent nation-state of Papua New Guinea is a member of the British Commonwealth. Papua New Guinea is slightly bigger than California with about 10 million residents – for comparison in terms of population density, California has about 36 and a half million residents. Papua New Guinea’s 10 million residents speak 841 different languages, making it the most linguistically diverse nation in the world. The majority of Papua New Guineans, about 86% live in rural areas, and 75 % of them are shifting horticulturalists who own their own land. New Guinea is less than one-half of one percent of the earth’s surface but it contains about 10% of the total species on the planet. Many of these species are endemic, found only on New Guinea. There are over 200,000 insect species, over 20,000 plant species, over 725 bird species, over 400 amphibian species, over 455 butterfly species, and over 200 mammal species. Terrestrially, New Guinea has montane rain forests, sub-alpine grasslands, mangrove forests, lowland rain forests, freshwater swamp forests, savannas, grasslands, and one of the world’s last remaining tropical glaciers.